It’s rare that Aristotle and guitar pedals cross paths inside my brain, but upon plugging in the Fly Rig 5 for the first time, it was your favorite Greek philosopher (and mine) that immediately came to mind. Aristotle, you see, is the man credited with the idea of ‘the whole being greater than the sum of its parts.’ And that’s exactly what the Fly Rig 5 achieves. Obviously designed for the working musician, the wizards at Tech 21 somehow managed to pack a fully functional, gigworthy pedalboard into a unit that’ll fit inside your guitar case or gigbag—with room to spare. Seriously. I showed it to a buddy of mine and his instant reaction was, “Whoa, that’d fit in my strat case!” To which I replied, “It’d probably fit in your pocket.” (He’s tall.) And while that’s somewhat overstated, it’s actually not too far off. Measuring just under 12” long and only 2.5” wide (the same size, side to side, as an MXR Phase 90), the Fly Rig 5 is astonishingly small. And in a world where tight, slimmed-down rigs are just as fashionable as jumbo-sized, pedal-packed boards, it definitely has appeal. At the core of the Fly Rig 5 is Tech 21’s claim to fame, the SansAmp—an all-analog amp and cab simulator that celebrates its 25th birthday this year. According to the manual, this section focuses on amp-like cleans, but I found a surprising variety of pleasing crunch tones with the gain up around 3:00. The 3-band boost/cut EQ is perfect for finding just the right tonal balance straight into a mixer or PA system, or for matching up with your guitar amp of choice. Add to that a decent spring reverb emulation—which is smartly mixed in parallel with the DLA side of the pedal—and a gain-interactive master volume, and no matter what your sonic preference, options abound. The right side of the Fly Rig 5 features a two-headed monster in the form of an independent 21dB boost and a Marshall-inspired distortion lifted from Tech 21’s Hot-Rod Plexi pedal. The primary gain option delivers plenty of grind and saturation if you want it, or you can dial back the ‘Drive’ knob for convincing low-gain tones to stack into a crunchy SansAmp. Then, hit the ‘Hot’ switch to engage the boost for added compression into the Plexi, or added volume for a clean SansAmp. On the left is a stripped-down version of Tech 21’s Boost DLA pedal. And whether you’re someone who’s pretty reliant on delay or prefer just a touch of ambience here and there—you should feel pretty comfortable here. Controls are rather straightforward, but I think a tone control would’ve been an extremely beneficial addition. (The DLA is designed to emulate the venerable Roland Space Echo, but the repeats are a bit bright and a little thin for my taste. Just personal preference.) On the positive side though, quarter note tap tempo is huge, the delay time is significant and the ‘Drift’ knob ranges from subtle tape-echo-esque modulation to a pretty seasick warble. The “hidden chorus” setting will make non-delay users happy, too. 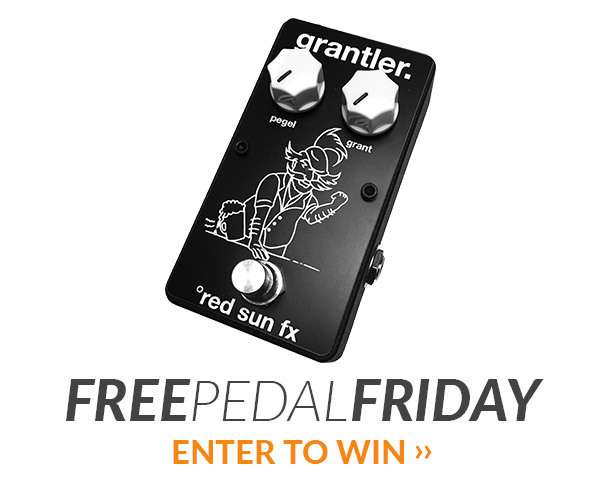 What we like: I’ve really enjoyed playing this pedal. In fact, I plan to add one to my personal arsenal. Here are a few things I like but didn’t mention above: the built-in clipping indicator, the silent footswitches and the oscillation-friendly delay circuit. Concerns: If I had to complain about something besides a few shortcomings of the DLA side, it’d be the dedicated power supply. Of course, batteries would add size and bulk to a unit designed to be exactly the opposite, but I’m nitpicking here anyway. Overall: Calling the Fly Rig 5 a must-have for gigging musicians isn’t much of a stretch. As a primary gigging option, grab-n-go board or just-in-case backup—it works. It’s well built, priced cheaper than you’d pay for the individual pedals and extremely functional. Buy with confidence. 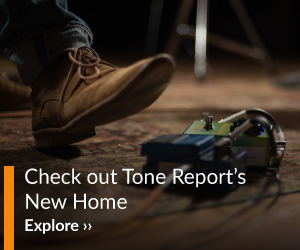 Very disappointed , not a great sounding pedal at all . Perhaps for beginners or people who don’t care about there sound being noisy , but I do !! Would not recommend this pedal for live as Sans Amp Section is noisy, and you cannot use reverb without this section of pedal . Delay OK !! and so is Plexi Tone but not great . This pedal is not worth 250.00 nor is it playable for professional use .Shame on you Sans Amp !! The worst product you ever featured is this Fly rig !! This unit is fanatastic. It’s simplicity is a blessing not a limitation because this unit gets the big tick where it counts most - TONE! As a working musician, I’ve explored many amp modellers with endless programmable possibilities and never once heard any of them sound as good as this unit did before even fine tuning eq settings. Wether direct to the mixing desk at gigs, direct to a powered full range monitor, or to my Fender deluxe amp, the fly rig 5 can quickly be made to sound rich and rocking. I’m not employed or endorsed by tech 21. I’m simply a gigging muso who is completely happy with this product. Robert you are a moron! This pedal is great and it’s used by some top level pro players! Best $250 I ever spent! Get one! No digital kaka to deal with… simple to navigate and it sounds great direct or into any decent amp! The pedal is great in terms of both the functions it houses and the size of the unit. I previously carried my pedal board of significant dimension and weight, now I only use Fly Rig 5 to connect directly to the PA system and Zoom MS-50G for additional effects. The effects of the unit have a very consistent sound, mostly classical but very reliable that one can play many music types (from country to hard rock). As a rehearsing and gigging long time amateur musician, I high recommend it. I own the RK5 and the Cali. I used these in church on the worship team, and our sound techs love them they give a good clean sound and semi distorted when needed. Nice Reverb and delay sounds. Quick set up and you get the analog sound, I have used Line 6 and a Vox tonelab and I love this a lot better I can throw it in my case and have it set up in a matter of minutes.